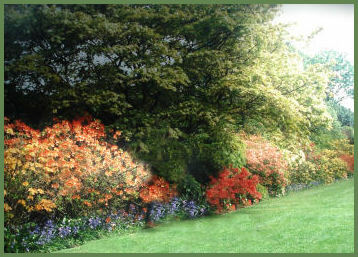 Spectacular Ness Botanic Gardens on the Wirral Peninsula cover 64 acres. The gardens occupy a pleasant position overlooking the Dee estuary. Ness Gardens were founded in 1898 by the wealthy Liverpool cotton broker, Arthur Kilpin Bulley, who sponsored plant hunting expeditions to the Far East. The gardens were once known locally as 'Bulley's rec', in reference to Bulley, Plants and seeds from Bulley's plant hunting expeditions formed the basis of the gardens collections. 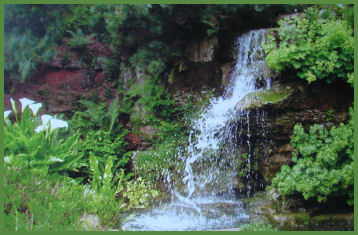 They boast a tranquil water garden, an impressive rock garden, heather garden and herb gardens. There is also a stunning laburnum arch which is one of the finest in England and colourful herbaceous borders. Visitor Centre with plant nursery, exhibition area, licensed 'Four Seasons' Cafe and toddlers playground. special events include speakers and concerts year round.